Why do personal trainer prices vary? A knowledgeable and effective coach is a powerful thing but why do prices vary ??? Personal trainers, fitness instructors, health and wellbeing advisors, call them whatever you wish but why do the prices vary? If you are an excellent coach, you will be spending money on further education, which is quite expensive and I take into account the costs of education plus my business costs when determining my rate. I feel that the qualifications you hold, the professional management of your business, the time spent educating yourself in all areas and what you offer is reflected in the price of the service. The industry is forever growing and some personal trainers make it through and succeed to build professional, growing businesses and become great coaches where a majority fail and unfortunately move on to other careers. I think you have to be a unique person to understand this area and to work with people who need your guidance and help, and in many cases emotional and mental wellbeing needs to be dealt with in a sensitive way. But why do prices vary?? Personal trainers students embark on a 6 week intensive course to understand the basics of the human body and how to train a client at a low level which is the base for their future business however, you know as well as I do that there is move to the human body which cannot be covered in a 6 week course. My journey to where I am now has taken 4 years of study and I am continuing studying for the foreseeable future. The qualifications I gained have taken me to the highest level of industry recognition with the Register of Exercise and Professionals (REPs), giving me ‘Specialist’ status. Such status will confer the levels of credibility necessary to place me at the forefront of government-led initiatives to deal with ever-growing health epidemics such as obesity and diabetes. Having completed my 6 week course I embarked immediately onto postural assessment and correction course. With the increasingly repetitive movement patterns associated with modern living, the incidence of postural faults is on the rise. Now, more than ever, it is essential that exercise professionals have both a sound understanding of postural faults and the precise skills necessary for their assessment and correction. Whilst a well-designed exercise programme can help to address these faults, a programme constructed from a poor understanding of these issues may result in muscle imbalances that ultimately lead to faulty posture. This very practical course provides a comprehensive insight into the postural types and offers strategies to assess and correct each one. Without this knowledge as stated imbalance can happen and this defeats what personal trainers set out to do. Having completed that course I jumped in to Pre and Postnatal exercise programme design. I was to discover how the physiological changes associated with pregnancy might influence the design and effectiveness of exercise programming for this special population. Completed the course allowed me to explore the benefits and risks of exercising during pregnancy as well as workout recommendations and the most popular exercise regimens. Now this was not the end to my studies as I decided to complete the GP referral course, which led me to take further studies. I then specialised in Lower back pain, obesity and diabetes which are important areas to be covered. If your GP or health professional, such as a physiotherapist or nurse specialist, feels that your health would benefit from you becoming more physically active, they may refer you to your local GP referral scheme, which leads to working with a specialist Personal Trainer like me. The Level 4 Obesity and Diabetes course is designed to allow personal trainers to work closely with clinicians and others within the medical community. Personal trainers gain the highly sought-after skills to devise and deliver exercise programmes for those with diabetes or obesity. 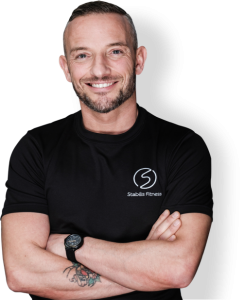 Unfortunately these areas are outside the scope of practice for regular personal trainers therefore a specialist exercise instructor needs to study offering you the client safe and effective programmes. I have also completed my extensive studies in applied nutrition and supplementation as part of the Association for Nutrition allowing me to give prescriptive nutrition plans which after all is the biggest part of change. Therefore before you decide to choose a trainer or indeed go for the cheapest option please remember you can’t cut corners when it comes to your body and health. During your consultation and assessment the trainer should look at how you move to assess your mobility and potential to do various exercises safely. If your goal is to lose body fat, your body composition should be measured. The trainer should also ask you about any past injuries you might have and get you to keep a food journal. He or she should also try to get a sense of your lifestyle and how much stress you’re typically under—this can be a big factor in programming workouts. Any trainer who isn’t invested in his/her client’s goals or insists on only one way of doing things is wasting your time. More important than certifications or having the right ‘look’ is being able to coach and programme exercise properly so that you see steady results and avoid injury. Someone who’s passionate and open-minded will learn along with you and keep you motivated so you see continued success. Take you time, research and make sure you meet the coach/trainer before embarking on to any programme. If you are not receiving documents to complete before an assessment day ( yes an assessment day is required also) then be wary as a lifestyle questionnaire, Par-Q, consent form and nutritional diary are paramount. Now we all start from somewhere so if your trainer is new to the industry then reduced fees may apply as does trainee hairdressers etc.